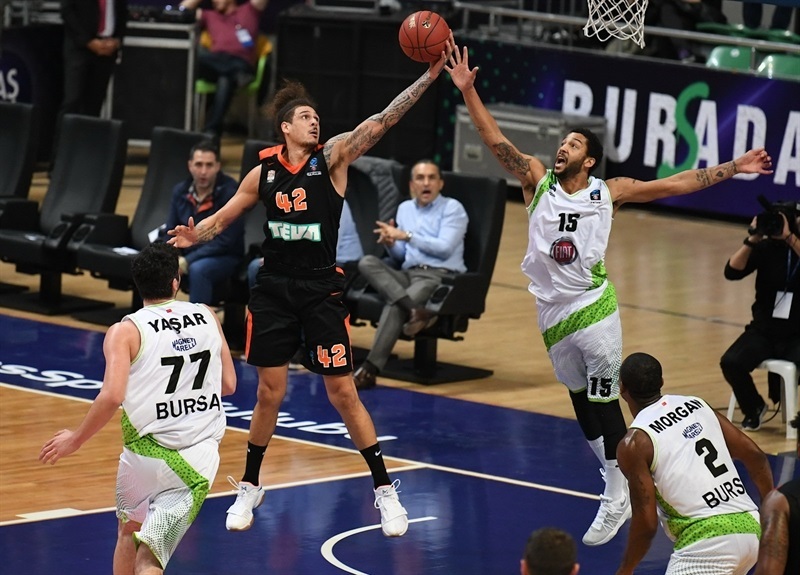 In a fun-to-watch, run-and-gun showdown, Tofas Bursa downed ratiopharm Ulm 100-84 at home on Wednesday. 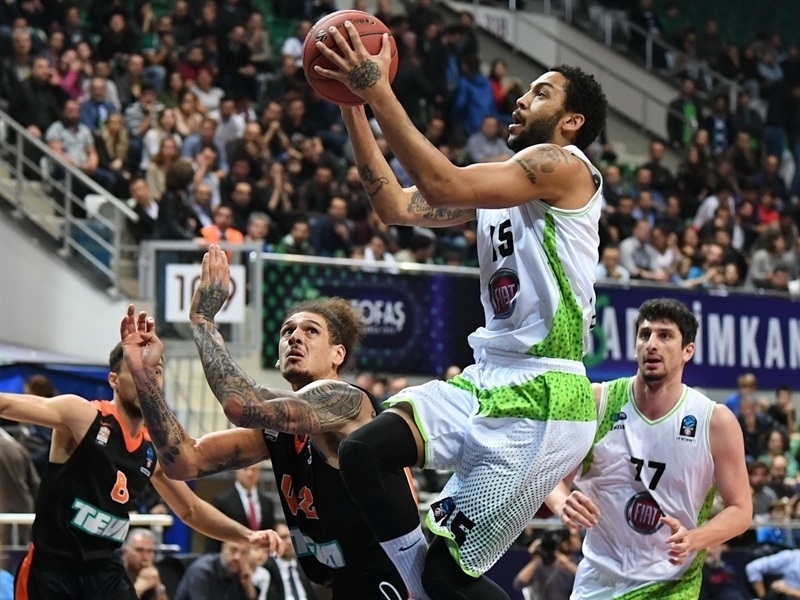 Tofas improved to 4-2 in the standings, while Ulm dropped to 2-4. 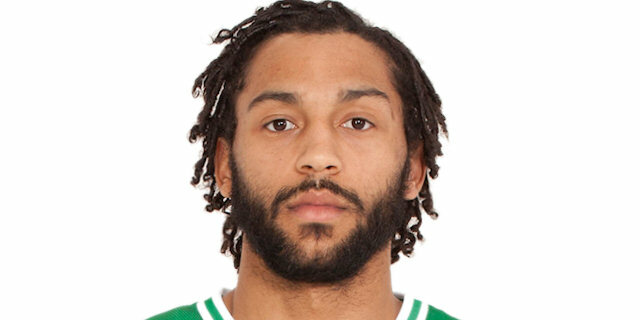 Pierria Henry led the winners with 26 points, 7 assists and 5 steals. 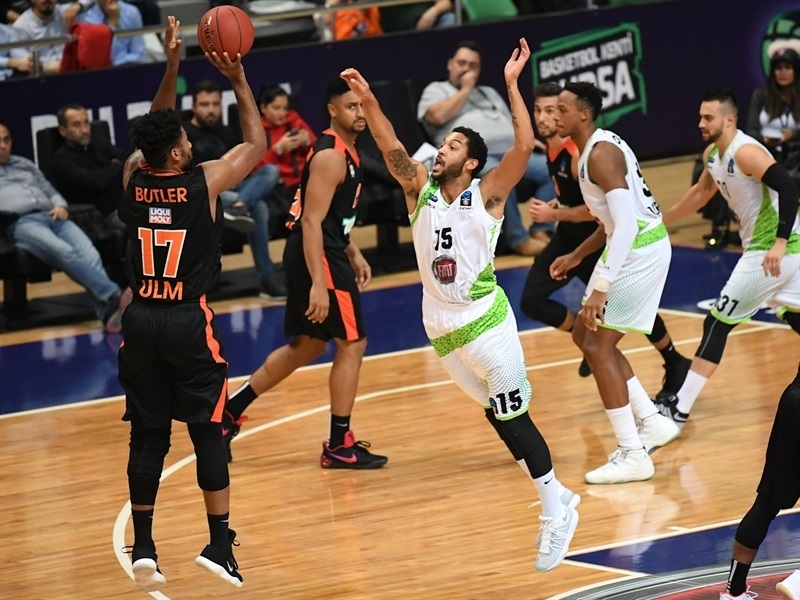 Tony Crocker added 22 points on 6-of-7 three-point shooting, Sammy Mejia had 19 points, 5 assists and 6 steals, Raymar Morgan scored 11 points and Josh Owens contributed 10 for Tofas. Da'Sean Butler led Ulm with 17 points on 5-of-7 three-point shooting and Trey Lewis added 16. Lewis struck three times from downtown in a 0-16 Ulm run that put the visitors in charge, 26-33. 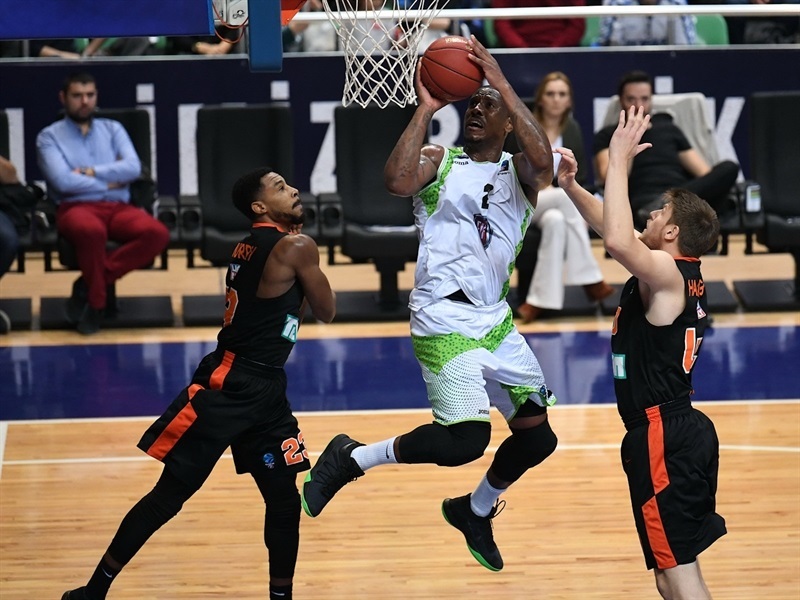 Mejia, Owens and Crocker fueled a 14-2 run that gave Tofas a 49-47 edge at halftime. 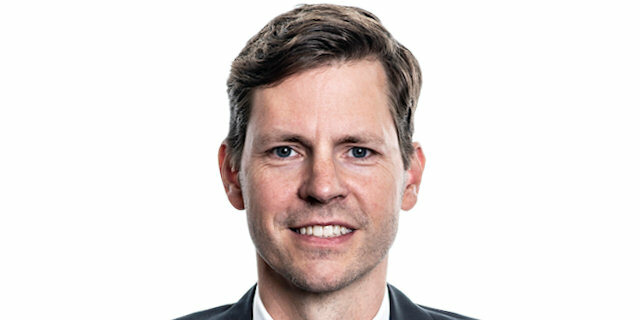 Crocker downed three bombs from beyond the arc early in the third quarter and got help from Mejia and Henry to boost Tofas's margin to 74-67 after 30 minutes. Henry took over early in the fourth quarter with 11 quick points to seal the outcome. Butler and Per Guenther each struck from downtown to give Ulm an early 2-6 lead. Crocker joined the three-point shootout, igniting a 10-2 run that Paunic capped with a triple in transition for a 12-8 Tofas edge. Isaac Fotu stepped up with a jump hook and Butler added his second three-pointer to bring Ulm within 16-15. 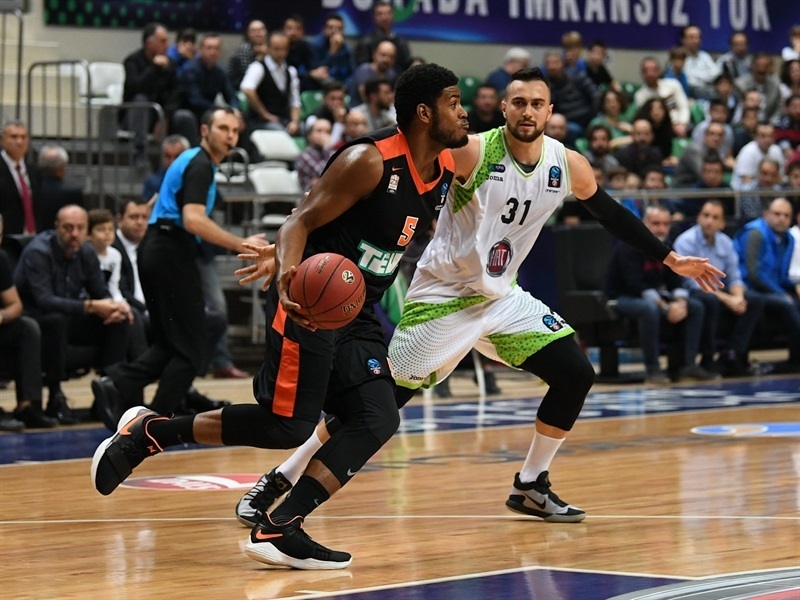 Morgan had 4 points in an 8-0 run that Baris Ermis capped with a driving layup, but Jerrelle Benimon and Lewis brought the visitors a bit closer, 26-22, after 10 minutes. 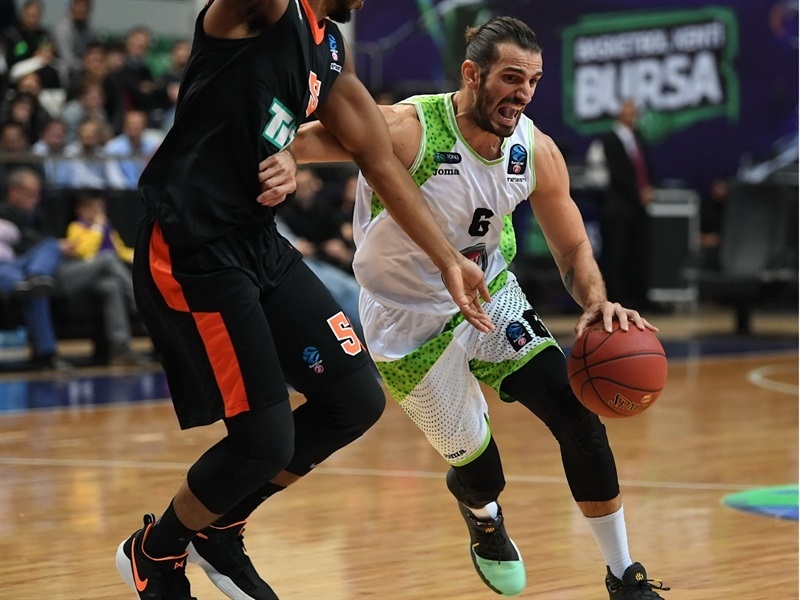 Benimon took over with a three-point play and Lewis struck twice from downtown before Tofas called timeout at 26-33 after a 0-16 run. Crocker answered from downtown, but Luke Harandogy and Toure Murry soon made it a double-digit game, 29-39. Mejia and Crocker rescued Tofas and an alley-oop slam by Josh Owens caused Ulm to call timeout at 35-39. Butler insisted from beyond the arc, but Crocker and Morgan got the hosts as close as 41-42. A jump hook by Owens and a tip-in by Morgan completed the hosts' comeback at 46-44. Henry and Guenther traded triples to fix the halftime score at 49-47. A rain of three-pointers got the second half started - Crocker hit two, Butler added two more and Mejia downed one for a 58-55 score. Mejia made free throws and Crocker nailed his sixth triple in as many attempts for a 63-55 Tofas lead. Thompson and Harangody gave Ulm hope at 66-63, but Crocker and Owens fueled a 6-0 run that kept the hosts out of trouble. Thompson and Lewis kept the guests a bit closer, 74-67, after 30 minutes. 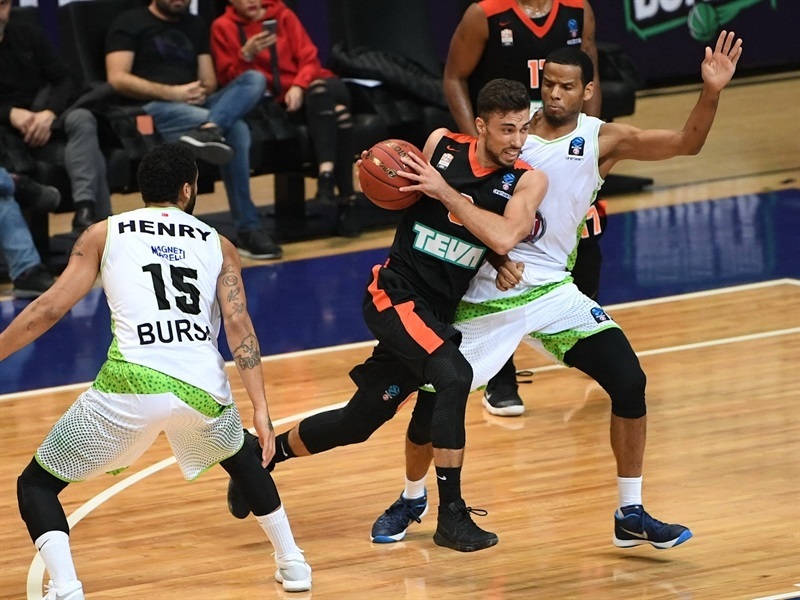 Henry struck twice from beyond the arc and added a layup off a steal to give Tofas an 82-69 margin early in the fourth quarter. Henry insisted from downtown and a dunk by Owens sealed the outcome, 87-71. Mejia hit another triple and an alley-oop dunk by Owens allowed the Tofas fans to celebrate a well-deserved win. "First of all, this game started the second leg and this is a game we couldn't afford to lose. It's a tough schedule and we are fighting both in EuroCup and the domestic league. We had a few ups and downs and that's normal. We prepare a lot for this game, we lost there in Ulm. Today, most of the time, we played good basketball. I am happy for that, but we have not won anything yet. We have to continue and stay focused so we can be in the Top 16." 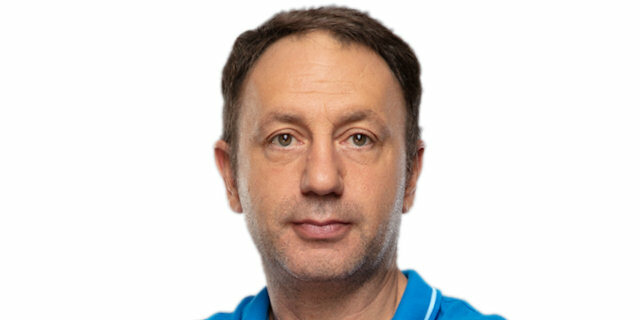 "I want to congratulate Tofas and coach Ene, they played a great game from the first minute to the last. We playwed well only for the first 20 minutes. We had too many turnovers, we had 20 and we normally average 10. 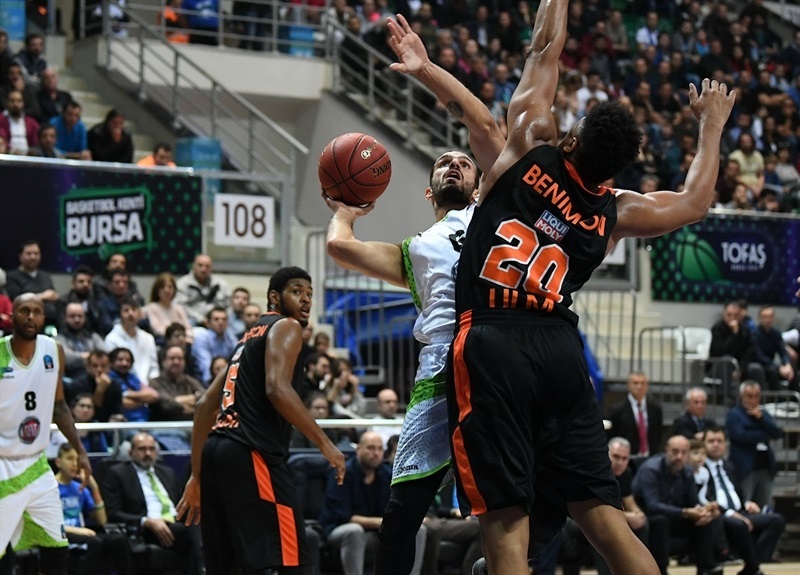 We tried to reduce the efficiency of Raymar Morgan and I think we did it okay, but TOfas had more shooters and they came through." "First I am thankful for this opportunity. Thanks to my teammates and my coaching staff for this game plan. We stuck together, played hard and stuck through adversity. They beat us in first leg and we wanted to beat them now, that's what we do." "It was a very exciting game. I am sure the fans had fun. Both teams wanted to win the game but I think in the second half we focused a little better on defense and that helped us in offense. I give credit to Ulm. They are a good team and they play hard and they fight together. 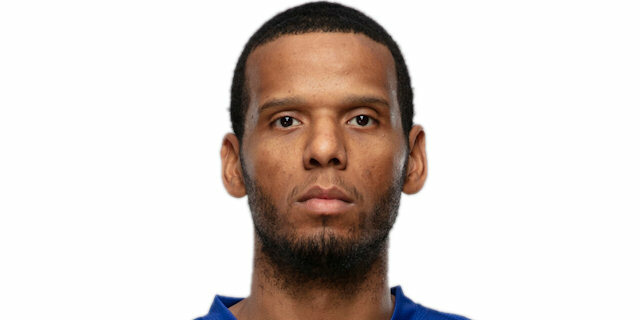 I am glad that we got the win."